SYDNEY–Australia should introduce a law forcing religious leaders to report child abuse, including Catholic priests told of abuse in the confessional, said a report on Friday which detailed institutional abuse. The 17-volume document from the Royal Commission into Institutional Responses to Child Abuse marks the end of one of the world’s biggest inquiries into child abuse and leaves it to the government to decide whether to enact its recommendations. 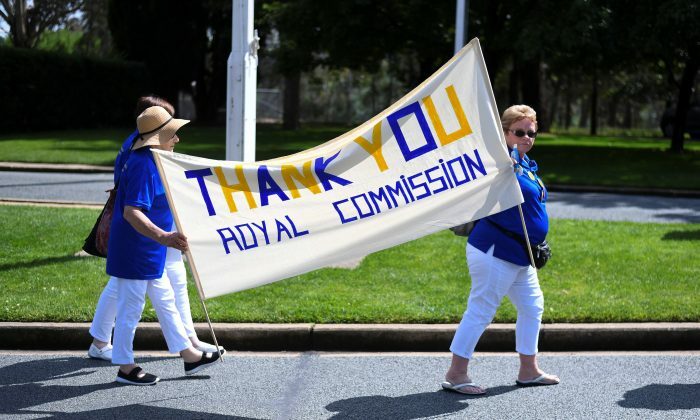 The royal commision is Australia’s highest form of public inquiry. It heard more than 8,000 testimonies from victims of abuse during the five-year investigation – 2,500 of which were referred to the authorities. The investigation found “multiple and persistent failings of institutions to keep children safe, the cultures of secrecy and cover-up, and the devastating affects child sexual abuse can have on an individual’s life”, the commission said in a statement. The report detailed tens of thousands of child victims, saying their abusers were “not a case of a few rotten apples”. “We will never know the true number,” it read. The inquiry spanned religious, government, educational and professional organisations but heard many accounts alleging abuse cover-ups in the Australian Catholic Church, including allegations of moving priests suspected of abuse between parishes to avoid detection. Of survivors who reported abuse in religious institutions, more than 60 percent cited the Catholic Church, which demonstrated “catastrophic failures of leadership”, particularly before the 1990s, the report said. It said clergy told of child abuse in the confessional should be required by law to report it. A similar recommendation was made during Ireland’s 2009 child abuse inquiry, leading to a mandatory reporting law in 2015. Some U.S. states have similar requirements. The Australian report also called for a National Office for Child Safety and national child safety standards, child abuse reporting and record keeping, which would cover all institutions engaged in child-related work. Australian Prime Minister Malcolm Turnbull said the inquiry had “exposed a national tragedy” and that the government would consider the recommendations and respond in full next year. The report added another 189 recommendations to the 220 that have previously been made public. Sydney Archbishop Anthony Fisher, said in a statement that he was “appalled by the sinful and criminal activity of some clergy, religious and lay church-workers (and) ashamed of the failure to respond by some church leaders”. The inquiry heard previously that the Australian Catholic Church paid AU$276 million (US$212 million) in compensation to thousands of child abuse victims since 1980. If you enjoyed reading this article, support independent journalism by sharing it on social media. Thank you very much!